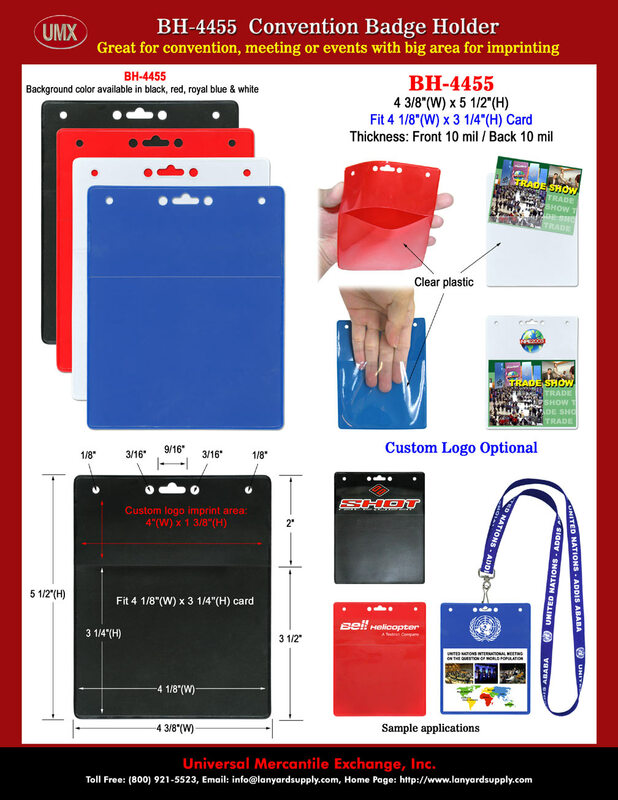 UMX Plain or Custom Printed Color Badge Holders For Convention Name Badges. The BH-4455 color badge holders come with color back ground with clear front for name badges. Holders come with black, red, white, and royal blue back ground colors. A big area on the top of holders are designed for big logo printing. Great for convention name badges or convention ID cards. You are viewing Lanyards > Holders > Plain and Custom Printed Color Convention Name Badge Holders For Convention ID cards or Name Badges.